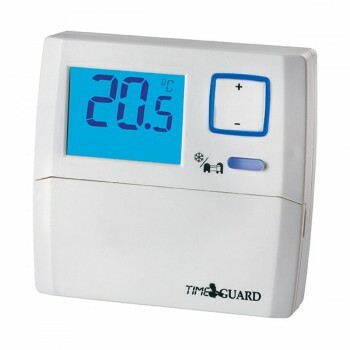 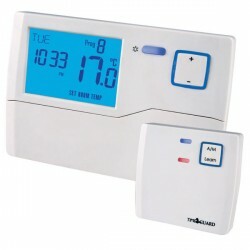 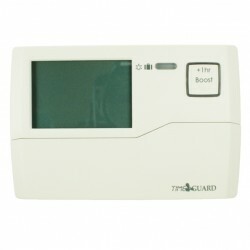 Timeguard TRT033C Digital Room Thermostat with Night Set-back at UK Electrical Supplies. Timeguard’s Digital Room Thermostat (TRT033C), part of the Programastat range, provides automatic temperature control for all central heating applications. 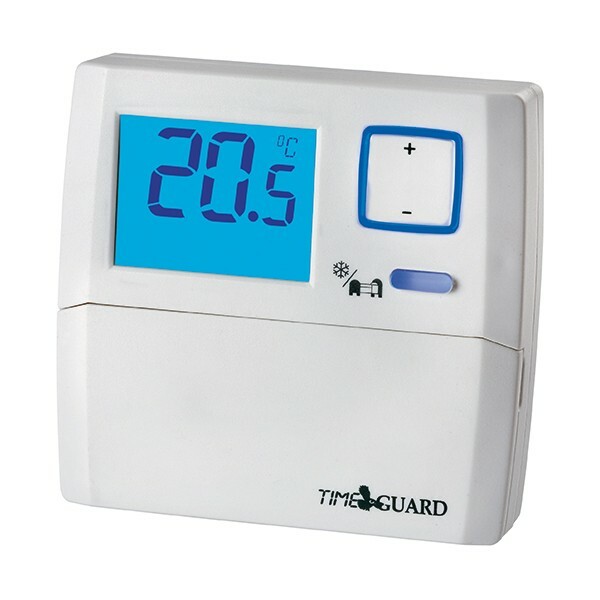 Its brilliant blue screen clearly displays the current room temperature, which can be adjusted in 0.5ºC steps with the simple push of an illuminated button. 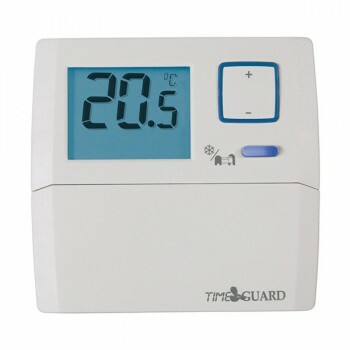 It also features clever night set-back and frost protection modes to help improve your system’s efficiency and reduce running costs. 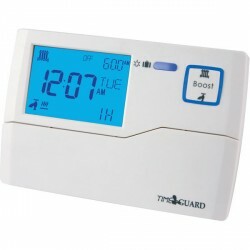 The former cuts back on evening heat expenditure, while the latter prevents pipe damage during cold spells.